Switzerland-based global engineering group Cavotec is currently working on eight airport-related major projects in the Middle East including Dubai International Airport, Muscat International Airport, and Saudi Air Hangars, the company’s top regional official has said. Juergen Strommer, managing director, Cavotec Middle East, said the company is currently supplying nearly 100 technical pop-up pit systems and 27 super-cool pre-conditioned air (PCA) units in Dubai projects. “We’re proud to say currently more than 400 different Cavotec products are in service with Dubai Airports and Emirates Airlines. With the ongoing projects in Dubai Airport, the total number will increase to 650-plus on completion,” he added. Dubai International Airport and Emirates Airlines are longstanding clients of Cavotec and continue counting on the company to accomplish various streamlining and modernisation projects, Strommer said. Cavotec has worked on the expansion of Bahrain International Airport at a contract value of 30 million euros ($40.8 million), which Strommer said is one of the most valuable projects awarded to the company. With its pre-conditioned air systems forming the centrepiece, the company will also deliver and install pop-up units, transformer sub stations, 400 Hz power supply systems, a vacuum evacuation system, a blue water supply system and a potable water supply system. As well as Bahrain International Airport, projects it completed in recent years were Concourse 1, Concoure 2 and Concourse 2 upgrade at Dubai International Airport, Emirates engineering hangars, the Emiri hangar at the New Doha International Airport, MOF hangar projects for the civil aviation department in Riyadh and Jeddah and an Al Jaber Airbase C30 hangar in Kuwait among several others. Cavotec’s array of sophisticated and efficient technologies has enabled GCC airports to achieve ecologically sustainable and more profitable operations as the hubs expand to meet rising annual passenger traffic, said Strommer. Equipment such as technical pits, converters and pre-conditioned air units is manufactured at Cavotec Fladung in Germany and Cavotec Inet in the US, while Cavotec Dabico (UK and the US) and Cavotec Meyerinck (Germany) complete the company’s product range, manufacturing fuel hydrants and tank farm products, among other things. 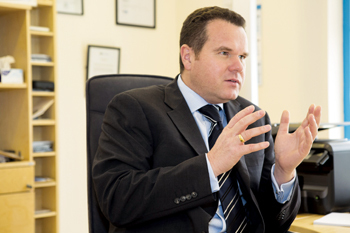 “All of our products and systems enjoy very high demand from airports here in the region. 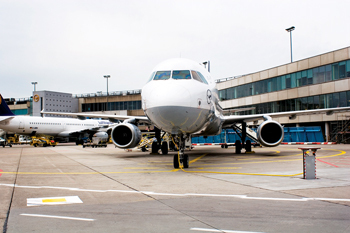 Owing to the state-of-the-art technology as well as tremendous relevance to the challenges that airport operators face, Cavotec systems are well respected and sought after within the industry,” said Strommer. Cavotec has successfully completed some challenging projects in the region, the official said. It supplied PCA units and technical pit systems to the world’s biggest dedicated A380 concourse at the Dubai Airport. At Bahrain International Airport, the company was tasked with providing a turnkey solution to design, supply and install complete aircraft stand equipment for nine remote aprons, which was a very demanding project based on the scale and expertise needed. “With the new Dubai Airport Concourse 4 project, Cavotec has also undertaken the design and supply of super-cool PCA units, which produce sub-zero temperature air to cool the world’s biggest aircraft at 50°C ambient conditions. These have a multiple control system which is integrated with the pits system and other associated services,” said Strommer. 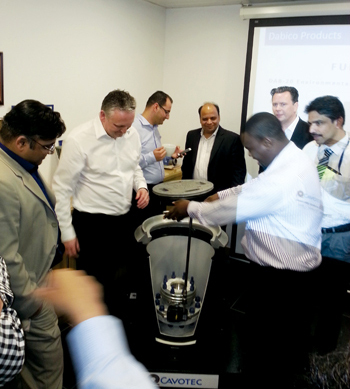 Cavotec Middle East launched an innovation in aviation fuelling systems during a fuel symposium held in Dubai recently. 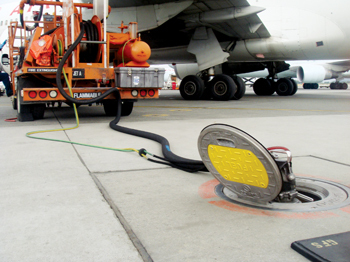 The Aviation Fuel Symposium, staged alongside the Airport show, enabled the company to showcase the new and widely anticipated DAB 20 hydrant pit box to aviation fuel companies, design consultants and aviation fuel mechanical contractors at its offices in Jebel Ali. The symposium, which Strommer opened, also featured other aviation fuelling products from the Cavotec stable, including easy-access covers and non-fuelling products. Shashank Rao, aviation sales manager from Cavotec Middle East, sees the new DAB 20 pit box as a product custom built to suit specific demands in markets where clients need an economical alternative to the very popular and unique DAB 24, which offers major operational benefits to fuel operators. “While our DAB 24 units enjoy a good level of demand, we now have a new unit which offers an environmental design with the lightest cover lifting weight in the industry. This type of cover is what many of our customers have been asking us to design and we have brought it for them, demonstrating our commitment to understanding our clients’ challenges and requirements and creating our solutions based on their feedback. The DAB 20 also comes with additional Cavotec features of waterproof sealing and lifting devices. This unit is considerably easy to lift and operate without any strain to the back for the operator,” Rao explained. The symposium was also attended by senior management of the Cavotec Aviation Fuelling Group and the managing director of Cavotec UK, one of Cavotec’s centres of excellence for its airport industry technologies.